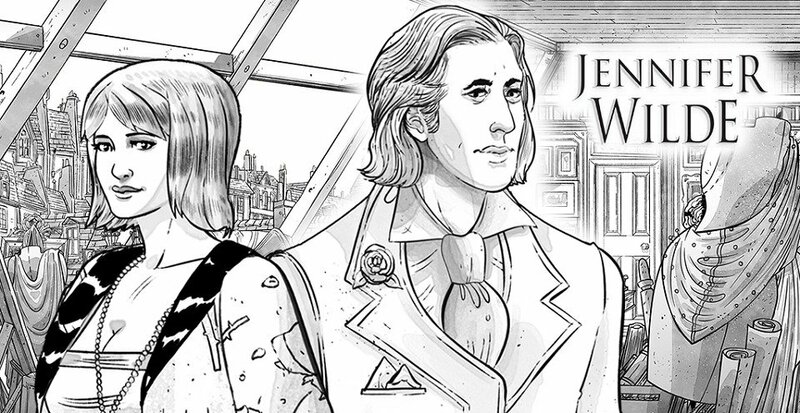 After releasing their first adventure Wailing Heights in 2016, Outsider Games from Belfast, Northern Ireland, are currently running a Kickstarter campaign for their latest game, Jennifer Wilde, a supernatural mystery based on a three-part graphic novel series starring a young French artist and the ghost of famed playwright Oscar Wilde. 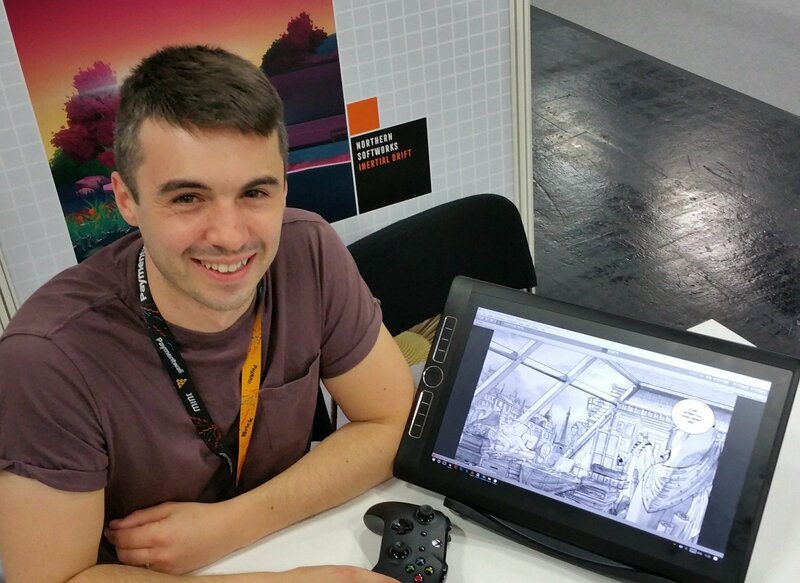 There's still time to check the game out firsthand through the playable demo available, but with the crowdfunding campaign drawing to a close, the hand-drawn black-and-white adventure set in 1920s Paris is in urgent need of additional public support to become a reality. With the outcome of the Kickstarter coming down to the wire, the timing seemed right to catch up with Outsider’s CEO Stephen Downey to dig a little deeper, and discuss all-things-Jennifer Wilde. Ingmar Böke: Hi Stephen, welcome to Adventure Gamers! Your last game, Wailing Heights, was a musical adventure, and your next, Jennifer Wilde, is going to feature the ghost of famous playwright Oscar Wilde as a playable character. You have quite an interest in unusual projects, don’t you? Stephen Downey: Thanks for having me, and yes, I always try to do something different with the projects I work on, in both story and mechanics. I want to work on projects that are fun and have a unique take, and can also hopefully pique a potential player's interest with just a few words! Mechanics-wise, Wailing Heights was a ‘body-hopping musical adventure game’, in which the player used a musical possession wheel to complete song lyrics with inventory items. In Jennifer Wilde, we again offer an innovative take on the classic adventure game inventory, and try do something new. With the combination of comic book art style and Jennifer’s role as an art student, the inventory takes the form of a comic book sketchbook. As Jennifer investigates and finds clues, she sketches these in her book, which she can combine and arrange to tell an illustrated narrative that will help her solve a mystery. And, of course, Jennifer has a very unusual co-star: the ghost of Oscar Wilde. I think the combination of Oscar’s dry wit and egotistical personality, alongside Jennifer’s youth and irreverence, makes for a really unusual ‘team-up’. A lot of witty banter and trouble ensues. When I first heard the concept, I was just so intrigued by its uniqueness and potential. Ingmar: Jennifer Wilde is based on a comic book series, and you have worked on the comics yourself. Please tell us a bit more about that series and how you got on board. Stephen: Jennifer Wilde was one of the first series I worked on as a comic artist. I had just finished drawing a story for the Doctor Who spin-off, Torchwood, and sent my portfolio out to several comic publishers looking for work. At the start of the Jazz Age in Paris in 1921, young French artist Jennifer Chevalier becomes embroiled in death, espionage and revolution, which takes her across the three nations of France, England and Ireland – ably assisted by the ghost of Oscar Wilde. At that point it was still only an idea he had created, and Maura McHugh was finishing the script for the first issue. This meant I was able to join the project from the beginning, designing the characters, and creating the world for Jennifer to live in. 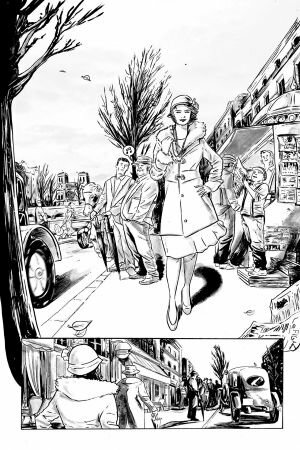 In fact, the black and white line work with grey inkwash is the style in which I chose to draw the comic, and we’re reflecting that in the artwork for the game. The comic itself has the same 1920s settings, and even when I was first drawing the pages, I knew it had the perfect Jazz Era setting, brilliant characters and underlying mystery to make a compelling adventure game. The comic series starts with the death of Jennifer’s father, and the game’s story will follow Jennifer’s journey to solve that mystery – though the game will diverge from the comics in parts as we add puzzles and scenarios for Jennifer to solve, spend more time with some of the supporting characters, and players will make choices to create their version of the story. Ingmar: What can you tell us about the relationship of the two main characters? Stephen: The relationship between Jennifer and the ghost of Oscar Wilde is a fascinating one, and it will change over the course of the game. Their first meeting is a chance mistake. Jennifer is attempting to call back the ghost of her murdered father, but accidentally calls back Oscar’s ghost in the hotel room in Paris in which he died. Both Jennifer and Oscar have a dry sense of humor and wit, so their early encounters can seem quite hostile, but this becomes a deep friendship as they work together to solve the murder of Jennifer’s father. The relationship is complicated by the fact that Jennifer discovers that Oscar and her father had a secret affair together. Through her partnership with Oscar, she is now discovering more about her father after his death than she knew while he was alive. Jennifer is a very ‘modern’ woman for the 1920s, an open-minded, free bohemian spirit, and she will find that perhaps she and her father had more in common than she thought, but he was held back by the shackles of the society he lived in.